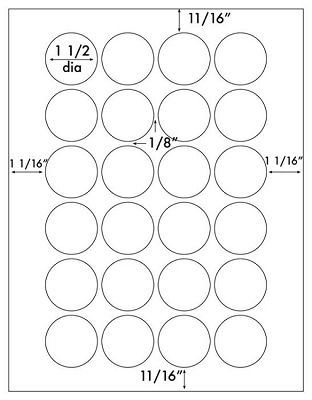 This label is 1.5" in Diameter, 24 per sheet. Neon Fluorescent Yellow High Visibility Laser Printers ONLY Permanent Adhesive Label Stock. A "word" about MS/Word Templates. On labels this small, Word templates, combined with Laser Printers can NOT produce precise results. 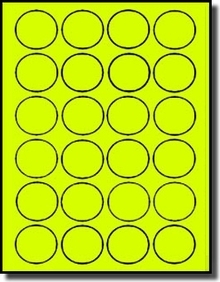 Package of 20 sheets (480 labels) circular NEON Yellow labels, 1.5" diameter, with 4 labels across, and 6 labels vertically.